Singapore is one of the most visited cities in the world according to the latest survey conducted by Euromonitor, a market research firm. This goes to show that many tourists prefer the iconic Marina Bay Sands (MBS) over any other landmarks. Visitors think and glorify MBS but locals know better. There are many views in Singapore worth the travel. Henderson Waves: If hiking is your thing, the best thing that you can do is to hike through Southern Ridges. The ridges are a ten kilometre trail that links Labrador Reserve, Kent Ridge, HortPark, Telok Blangah Hill and Mount Faber. 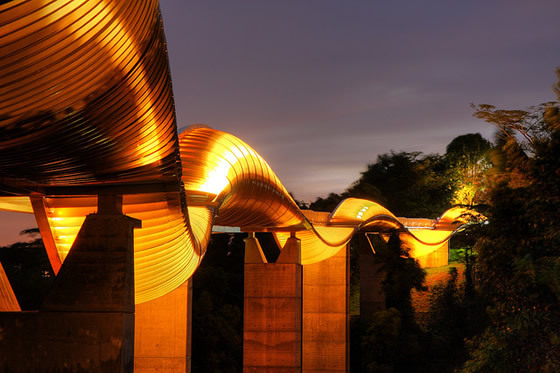 The hike will bring you to Henderson Waves which is the highest pedestrian bridge here. Your visitor will surely enjoy many vantage points while hiking. PARKROYAL: Visitors just think that there is only Gardens by the Bay to marvel. You have to know that there is also one sky garden that will take your visitor’s breath away. PARKROYAL on Pickering is one remarkable piece of architecture. The visitor will be surprised to literally see a hotel filled with gardens. 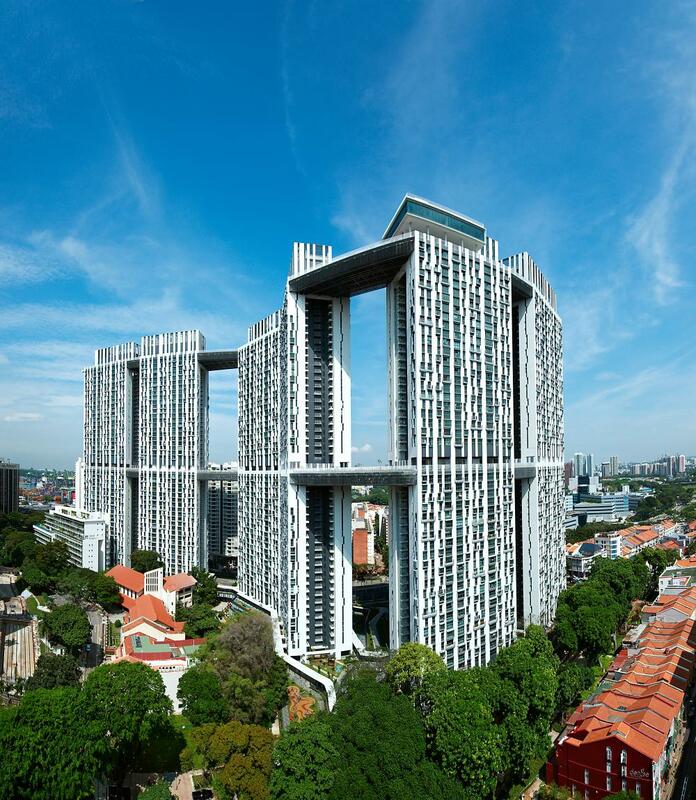 Pinnacle@Duxton: Talk about iconic landmarks, the city also boasts of The Pinnacle@Duxton. It is a residential building that comes with a sky bridge at the 26th There is also a sky park at the 50th floor which is open to all. There is however an entrance fee. For only $5, you can get a stunning view of the district. SkyPark at Vivocity: Another place offering magnificent view is SkyPark at Vivocity. While your visitors are enjoying shopping, you can take them to the SkyPark and they will be delighted to see water features. 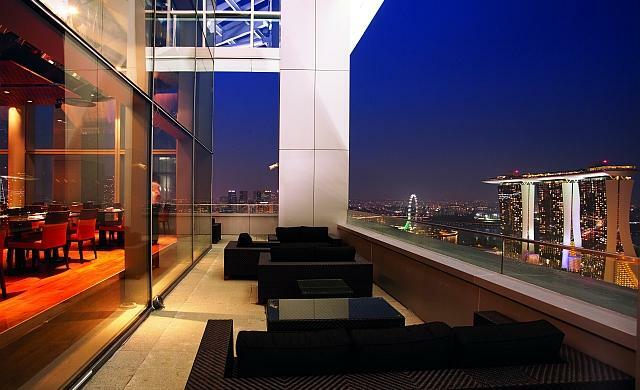 New Asia Bar: The New Asia Bar was the first place to offer wine and dine above nestled in 71 floors. Although a bit old, the place still has the charm that other competitors cannot contend. LeVel33: If you want to bring your visitor to a scenic place somewhere around the Central Business District, LeVel33 is definitely the place to be. The place is actually the world’s highest brewery. Beer pairing is more interesting these days. These are just some of the places worth visiting. Your visitors will surely see Singapore differently – it is also a place to have fun.